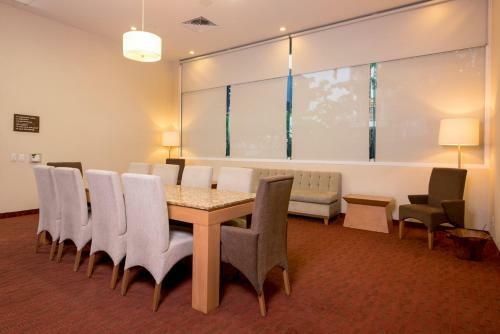 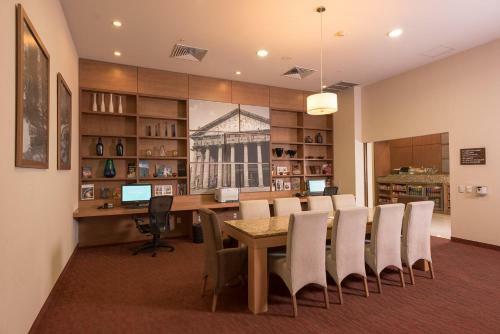 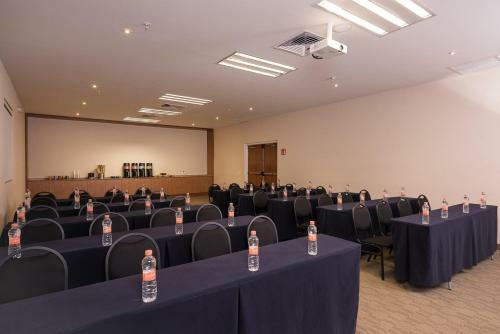 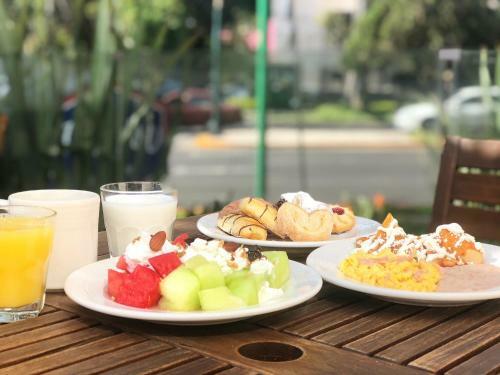 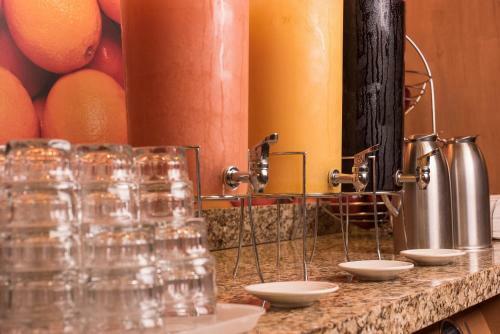 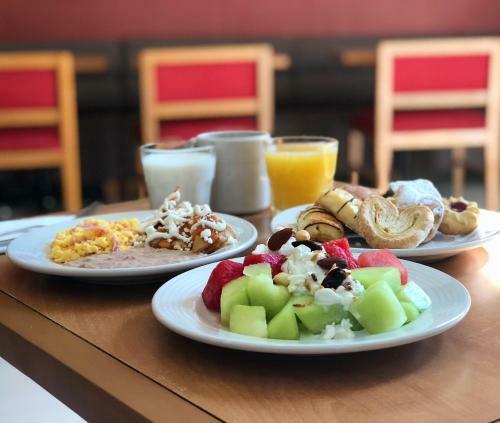 Located just 1 km from the Expo Guadalajara convention center, this hotel offers free airport shuttle and a complimentary buffet breakfast each morning. 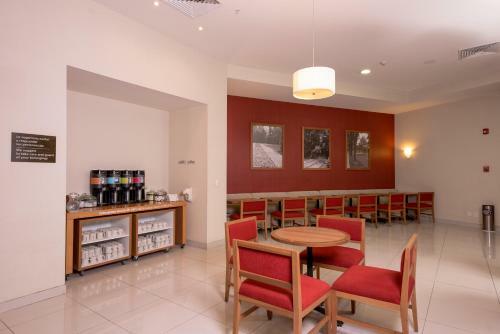 The city center is 25 minutes by car. 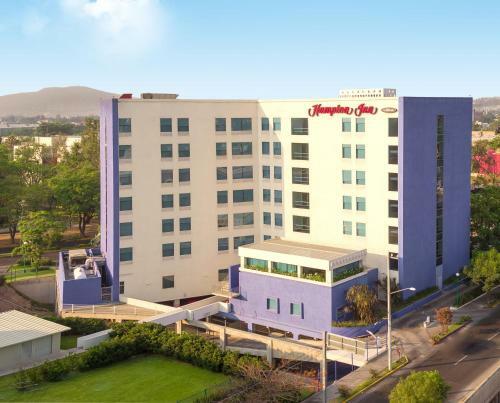 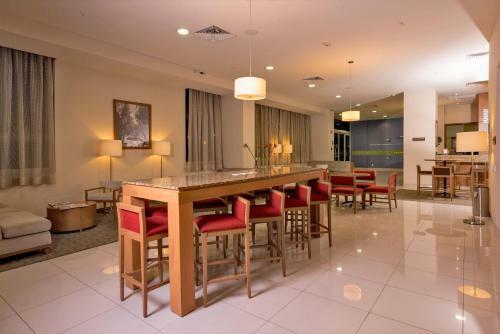 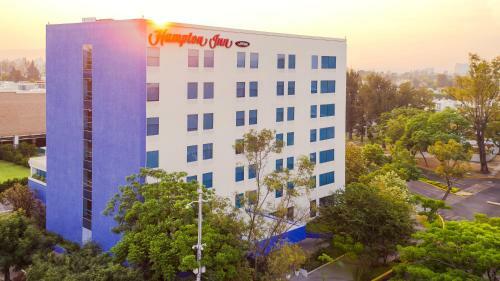 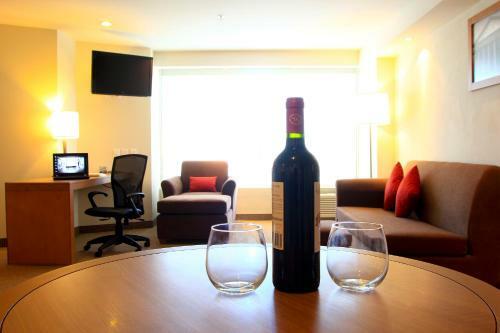 Hampton Inn by Hilton/ GuadalajaraExpo features modern rooms and suites with free Wi-Fi and flat-screen TVs. 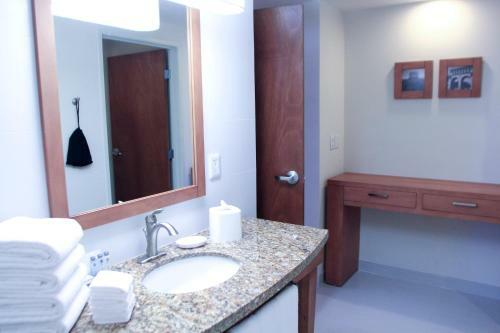 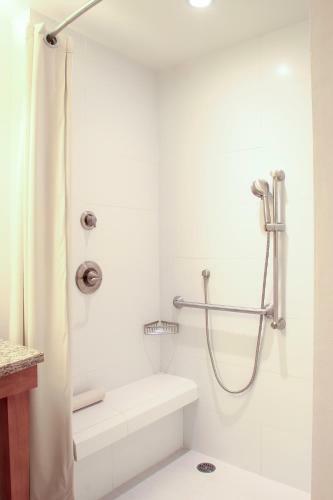 Rooms come with a coffee maker, hairdryer and a private bathroom with free toiletries, while suites also include a microwave and a fridge. 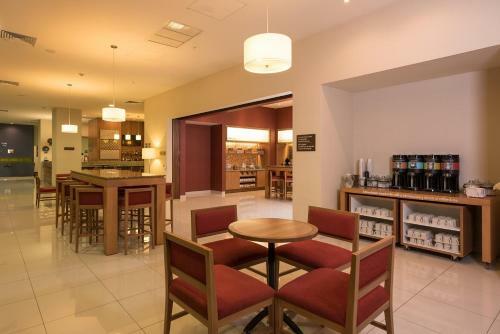 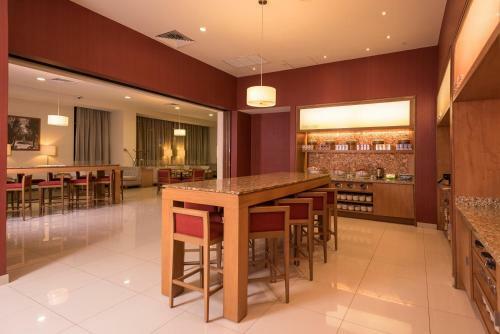 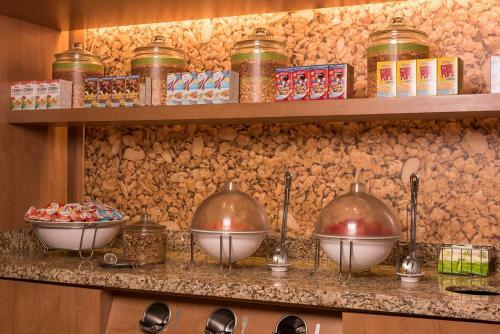 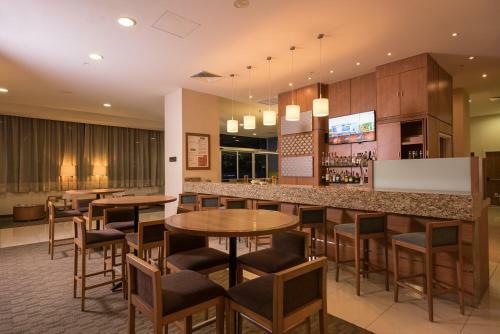 A 24-hour coffee and tea service is offered for free, also there is a bar and a free breakfast buffet area that offers eggs, beans, pan cakes, juice and coffee. 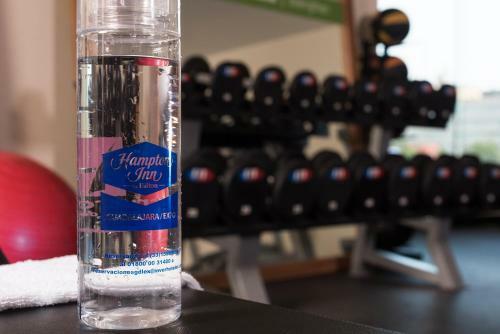 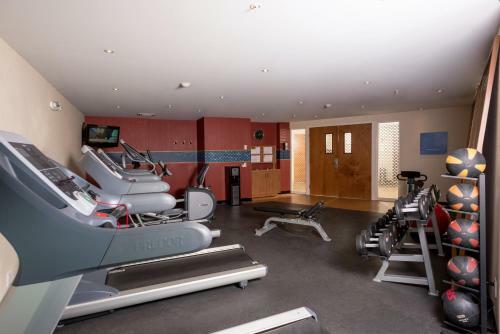 In addition, the 24-hour gym can be used for free. 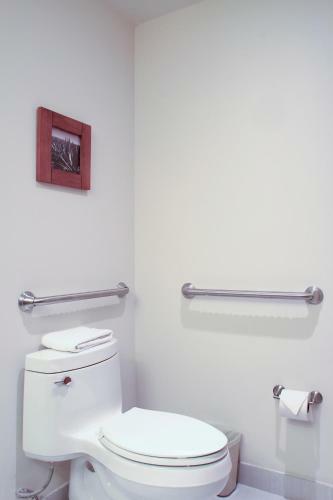 Other services consist of a business room with 2 computers and printer, laundry and dry cleaning Monday thru Saturday, except holidays. 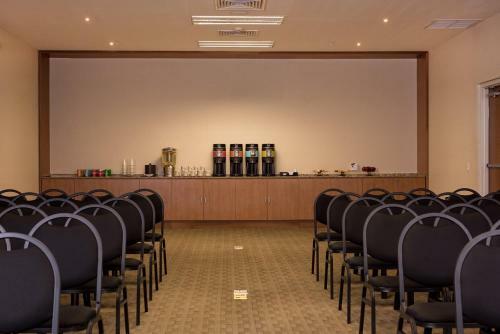 Near to shopping centres like Plaza del Sol or La Gran Plaza, the hotel is less than 10 minutes’ drive away. 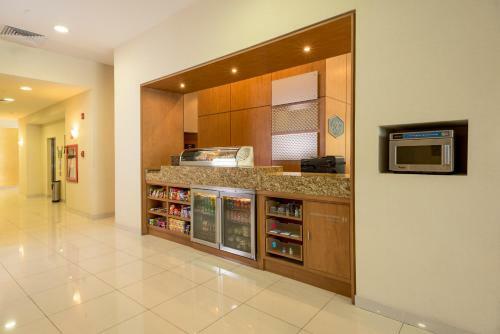 Guadalajara International Airport is 23 km away. 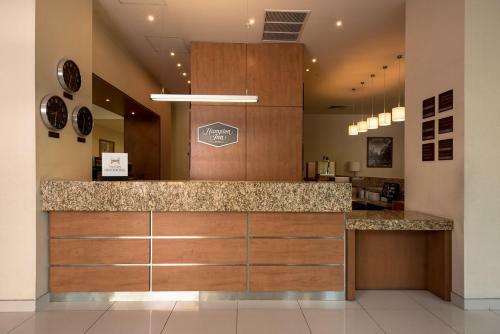 The free airport shuttle service is available on request, and must be booked in advance by contacting the hotel directly. 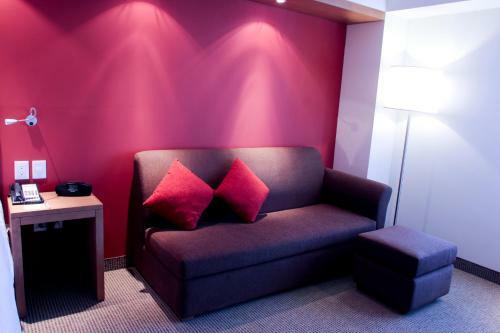 It operates from 07:00 until 19:00 (Monday to Friday) and from 07:00 until 14:00 (Saturday). 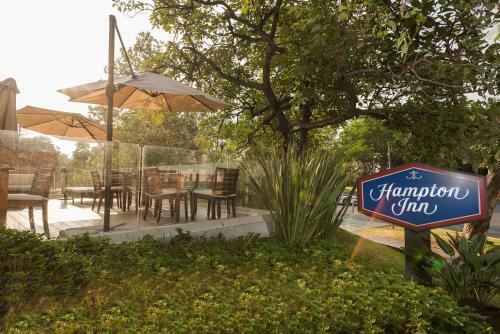 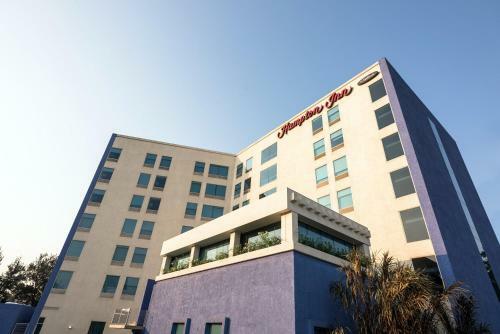 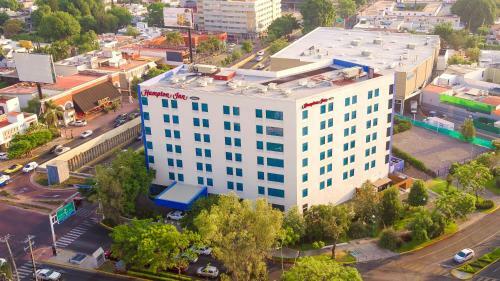 the hotel Hampton Inn by Hilton/ GuadalajaraExpo so we can give you detailed rates for the rooms in the desired period.